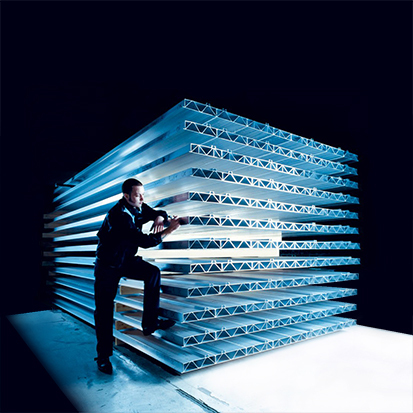 Sapa Profiler AB is the market leader of extruded aluminum profiles in Sweden and has customers all over Europe. There was a need to improve production efficiency and simplify monitoring for the operators which is why Sapa Profiler chose to install Kentima’s Ethiris Video Management Software. When choosing video surveillance system, focus was on finding software that quickly and easily could be integrated with existing systems in the facility. Ethiris has extensive support for the communication standard OPC and was therefore superior in that respect. Mats Borneling, Automation Engineer at Sapa Profiler, was responsible for the project and to decide which system was best suited for their project, he tested different software. Mats is impressed with Ethiris being easy to use even when building complex systems, and they are very satisfied with the result. ”Ethiris possibilities for integration with other systems are far superior,” says Mats Borneling Automation Engineer at Sapa Profiler AB. The facility operates around the clock and Ethiris is used for both continuous recording and event recording. An example of event recording is at startups. Sapa’s own superior system informs if something is wrong and then Ethiris automatically starts all relevant cameras and the technicians can easily see what has happened and quickly make adjustments. Thus the number of stops in production is minimised. Production takes place on different levels and as it is difficult to check if something goes wrong on the upper levels, Ethiris has made the technicians’ work considerably easier and helps them make better decisions. Via the operator stations in the control room, they now have very good overview of every-thing that happens. They can also analyse production by retrieving stored video in Ethiris and connect it to specific events. It is for example used to view video in slow motion so that they can see exactly where the problem occurred and make the changes necessary to avoid recurrence. ”Kentima’s products are high class and Ethiris has contributed to increased security in our production,” says Mats Borneling Automation Engineer at Sapa Profiler AB. The installation of the system went smoothly and with Ethiris they had the opportunity to adjust the system after the project’s specific needs. Mats thinks it is a big plus that all manuals and information are available in Swedish.